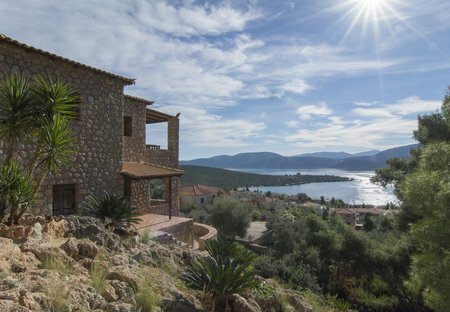 Rent villas in Korfos, Greece. Brand new villa-house of 130 sq.m., by the sea in Korfos in Corinthia, with stunning view of the deep blue bay. The villa is ideal for both summer and winter getaways.